Opportunities for Business Performance are Everywhere - Brilliant Breakthroughs, Inc.
are Everywhere and Waiting for You! Are opportunities hiding on you? How often do you notice opportunities? Opportunities are gifts for Business Owners to capture and utilize to improve YOUR Business’s Performance. In the SWOT Analysis, Opportunities are represented by the “O”. Opportunities are external situations or circumstances which impact your business’s performance. Unfortunately, most opportunities aren’t notice or utilized appropriately! Any practical Business Owner would answer with a “yes”. Heck, as much as I focus on capturing all opportunities I don’t. It’s impossible to capture every opportunity, but that doesn’t mean you shouldn’t practice capturing as many as possible. When referencing the SWOT Analysis, we must remember Opportunities are external situations which we aren’t able to control. We are only able to determine how we are going to respond to them when they occur. How often are you noticing Opportunities? Calendar: This is dependent upon YOUR Business’s offerings. The calendar may reveal certain times of the year which your business creates opportunity for you to boost your sales and profit. Are there times of the year that naturally makes sense for you to boost your promotional efforts? Weather: Some businesses thrive in particular weather circumstances. Is YOUR Business one of them? Dairy Queen decided to offset the downturn of sales during the cooler months of the year. How? They offer offer lunches AND Ice Cream Cakes for all occasions throughout the whole year. Products and Offerings: Oversimplified, offerings are my generic term for products and services. 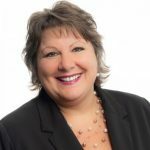 Is there a shift in your marketplace’s needs? Is this requiring you to reevaluate your offerings? Do you need to assess your product differentiation and price points? Is it time to expand your product line? Does your marketing need new promotional copy or a different approach for a current offering? Economy: Is your business impacted by local or national economic situations? All are to some extent. How do you respond to the trends? YOUR Marketplace: Can you find a different way to overcome barriers of entry into a marketplace? Is it time to diversify into a new growth area? Is the marketplace revealing it’s time for growth? Is there a need and is your business capable to passively or aggressively reducing competitors? Does the core of your business need to adapt to new marketplace trends? Technology: Are you harnessing technological advances? Do you have adequate training in the technologies your business needs to appropriately function? Do you know how your customer expects you to show up technically and or virtually? Are you harnessing the appropriate social media tools to build relationship and excellent service with your ideal customer? When we review this small portion of potential Opportunities, please remember the focus is how you respond to each of these. Do you have the systems and wisdom to address these or determine which are appropriate to actively respond or not? You can’t address this all at once. First you simply beginning by scanning your environment, externally for Opportunities, and documenting them. Strategy and Actions are not part of the identification process. Last week I introduced SWOT Analysis (click here to read the overview). Our last post I dove into learning how to identify your internal Strengths and Weakness (click here for S & W post) you can control or manage. On February 23rd we will discuss the “T” of SWOT Analysis. Additionally, I found some great information to add to March 2015’s “SWOT Analysis for My Business” Virtual Workshop. Thus, I’m reconfiguring this offering and will reveal it to you on Monday instead of today. Please pardon our delay as we focus on creating and providing excellent service for our customers! Can’t wait to share this awesomeness with you! Please feel free to comment what you already can identify as the Opportunities of YOUR Business. p.s. 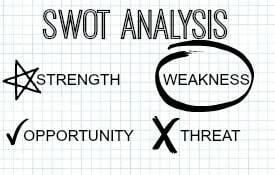 Here’s a short article (click here: What Does a SWOT Analysis Do for a Business?) from the Houston Chronicle. It addresses the opportunities and competitive advantage you gain when utilizing the SWOT Analysis tool.